An airline passenger from California is suing United for allegedly covering up an incident last year that could have resulted in the loss of all lives aboard one of their flights. According to a complaint (pdf), Flight 931 was traveling from Chicago to London when it made an emergency landing in Goose Bay, Canada, on Oct. 27 last year. The plane was traveling at an altitude of approximately 40,000 feet before it started “a terrifyingly rapid descent” ending at the remote airport. “Utter silence filled the plane, as the various passengers gripped their arm-rests with white knuckles during this episode. Many aboard thought they were going to die,” the complaint read. The passengers were left on board the plane for eights hours until a replacement airplane arrived to take them to their destination. The passenger who filed the lawsuit, Theodore Liaw, claimed the reason for the emergency landing was because the cockpit window had shattered about three hours into the flight. He said the first two layers of the window were compromised with numerous holes and was leaking air pressure, according to the court document. He claimed that by talking to the pilots during the eight hours wait, he discovered that one of the co-pilots had to push against the window to stop the third and last layer from breaking. “Had that last layer disappeared, both pilots would have likely been sucked out of the plane and Flight 931’s passengers would have been doomed,” the complaint read. 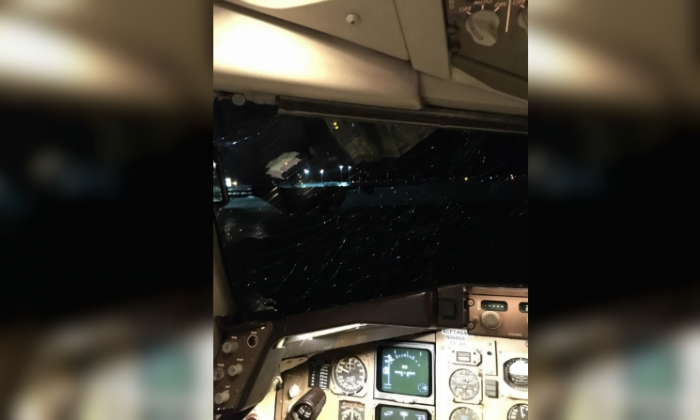 Liaw, who is a CEO and an experienced air traveler, said the pilots told him that the shattered cockpit window was the negligence of a United airplane mechanic who had over-torqued the bolts of the cockpit window while the plane was on the ground. This caused excessive stress on the cockpit window and eventually led to it shattering while at altitude. The lawsuit is asking United to provide fair compensation for the “bodily injury and severe emotional distress as a result of United’s negligence.” Liaw said he injured his back from the landing, which still required treatment two months after the incident. He also claimed that he has now developed a fear of flying. United reportedly already offered each passenger a $500 voucher as compensation for the incident. In a statement to Fox News, United said they were still investigating the matter. “At United, safety is our top priority and we diverted the aircraft due to an issue with the cockpit window,” the statement said, adding they were not able to comment further due to the pending litigation. Last year, a passenger died after being sucked out of a window on a Southwest flight. Jennifer Riordan was fatally injured in the first death on a U.S. airline flight since 2009 when a jet blew an engine at 32,000 feet. Shrapnel then smashed a plane window which set off a desperate scramble by passengers to save Riordan who was getting sucked out. In another incident in China last year, a co-pilot of a Sichuan Airlines flight was forced to make an emergency landing after being “sucked halfway” out of the plane due to a compromised cockpit windshield. Fortunately, none of the passengers were injured in that incident.